At over 65 tons, the Lady Sea sits like a log in the water making her a very effective drifting boat on those nice days when dropping the anchor is unnecessary. With two 1271 turbocharged Detroit Diesel engines, and a 271 generator that was rebuilt in 2004, She is one of the quietest boats to sail aboard. 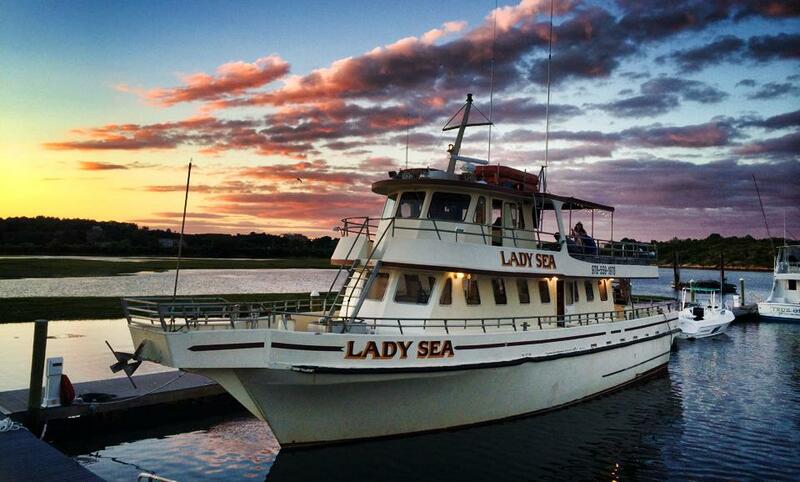 Originally built in Florida by A1 Construction, the Lady Sea was brought to Gloucester by the Mann Family in 2008, from Jones Beach, NY, where she was used for fluke fishing and seal watching trips. 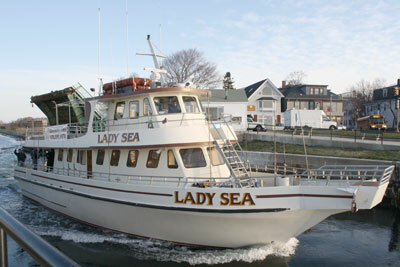 The Lady Sea is 70’x 22’, constructed of one inch of solid fiberglass. Built specifically for fishing by her previous owner, the Lady Sea boasts wide deck space between the benches and the rail for fishing comfort and a top deck that creates a natural overhang for protection from the weather on those wet days. Inside, her cabin is large enough to hold up to 30 people sitting, as well as standing room for many more. With a fully stocked galley that serves cold beer and hot food, two full bathrooms with freshwater sinks, and benches around the whole deck, the Lady Sea was built for comfort as well as fishing.